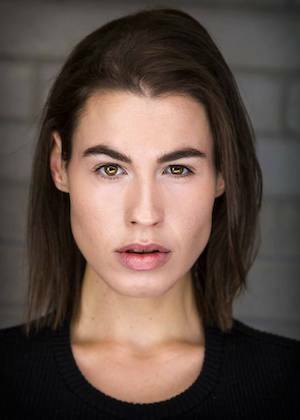 Charlotte Otton may be a Sydneysider by birth but in the four years that she’s been living in Perth, she’s carved out a niche for herself in the local independent theatre scene as a theatre maker and performer. Her debut play Let me finish. enjoyed a sell-out season at The Blue Room Theatre and was named a “Top Show” for 2018 by Seesaw’s Claire Trolio, who described it as “bold, brash and powerfully feminist”. Just three months later, she is premiering her one-woman play, Feminah, described as “a havoc-wreaking power ballad that embraces the vulgar women of the world.” Just hours before opening night, Otton squeezed in Seesaw’s Q&A. Seesaw: When did you first know that you wanted to be a performer? Charlotte Otton: The earliest indication for me was probably when my mum took me to see Annie on the mainstage in Sydney when I was five. I don’t know if my memory is built from stories or real memories, but regardless, I know I was singing along to every song and wanted to be up on that stage. My absolute dream role, to this day, is to play Miss Hannigan. CO: I’ve studied mostly improvisation; I started in Sydney and then studied in Chicago and New York for a few months. It’s the first training I had where I got a hint of the type of artist I could be. 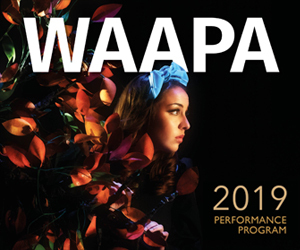 Then when I was 20 years old, I moved to Perth to do the Performance Making course at WAAPA. That course really shifted and clarified things for me, it made me take myself more seriously as an artist. CO: I’m still discovering it, but at the moment I’m interested in telling brutally honest stories and bringing comedy, filth, glee and spontaneity to the forefront of my work. CO: The very final performance of Let me finish. at The Blue Room in October last year. It was such an emotionally charged performance and the love from the standing crowd at the end and the women on stage was unlike anything I’ve experienced in a show before. CO: I did a monologue as David Koch “Kochi”, the Sunrise presenter, for an end of year drama concert once when I was 14. I wore my dad’s suit and I think I just did a weather segment… I should bring it back. Perth audiences would love it. CO: Maybe when I played a series of animals and objects in the Spare Parts Puppet Theatre and WASO collaboration of “Carnival of the Animals”. It’s a not a funny “ha ha” moment, it was more just me straight out of uni, playing a flowerpot, looking out into the crowd of 1500 audience members at Perth Concert Hall, wondering how I got to that place. CO: Feminah is about one woman on a war-path to discover and dismantle the constructs that have made her the woman she is today. It’s a personal battle of expressing femininity and vulgarity. It’s equal parts bawdy and vulnerable. Think personal stories, ridiculous history lessons, primo filth and live music! CO: Silence My Ladyhead, Grace, Manwatching, Poorly Drawn Shark and The Big City are just some of the ones I’m excited to see! CO: I love a good monkey bar set, but an adult one, I’m 6ft. 1, I’ve been dragging my feet on monkey bars since I was 10. Feminah plays The Blue Room Theatre Summer Nights, January 18-26.